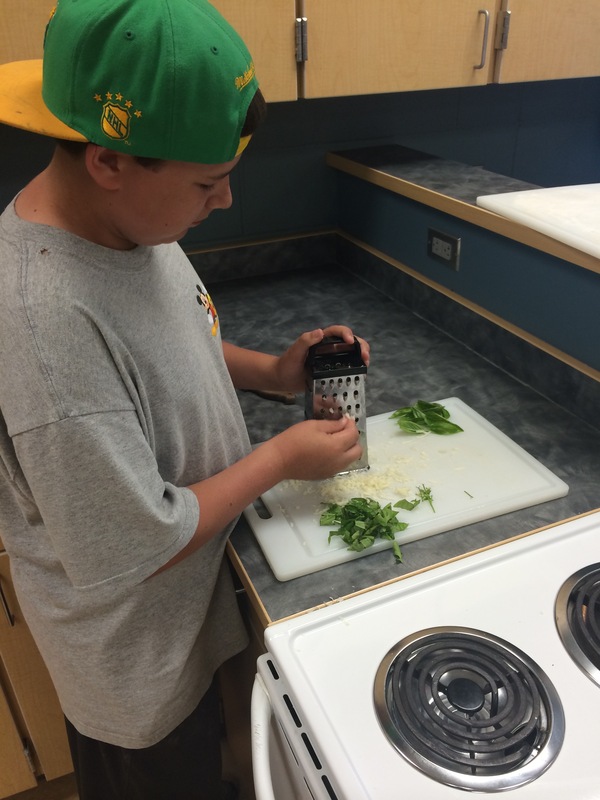 A few weeks ago in Young Chefs, the middle schoolers finally got to taste the fruit of their labor. 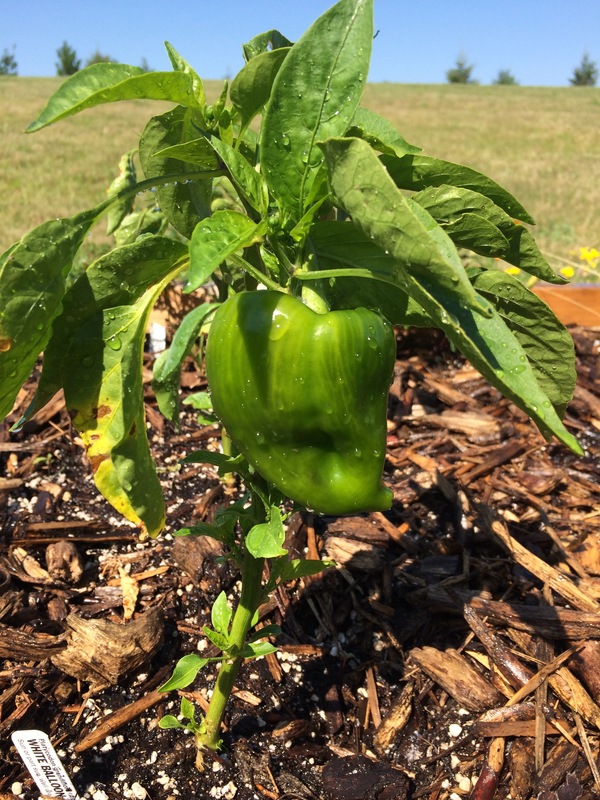 After weeks of watering and care, the garden has begun to produce. Peppers, onions, cilantro, kale, even miniature eggplant! After a brief run in with bunnies early in the season, the basil made a full recovery and is flourishing more than ever. And what better way to celebrate than to make pizza! 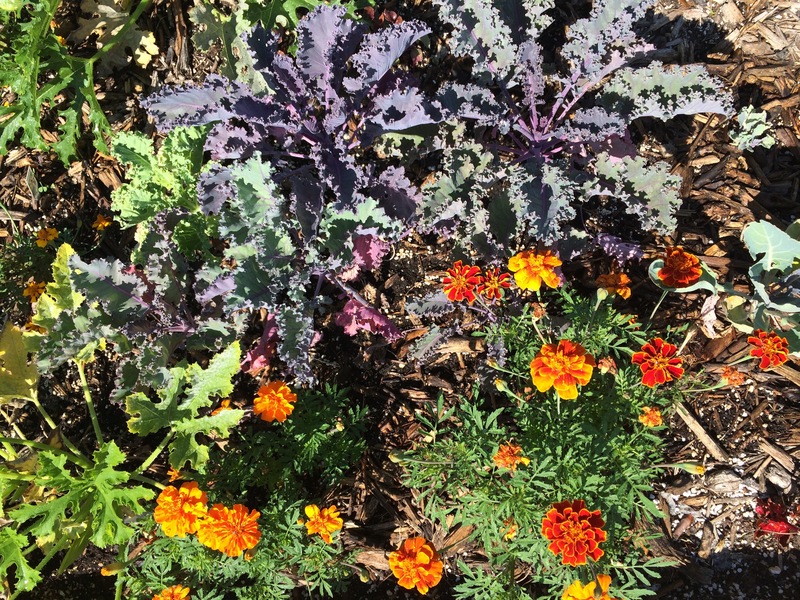 The lesson began with a trip to the garden to harvest the ingredients to top the pizzas (supplemented by some delicious produce from the Coop). 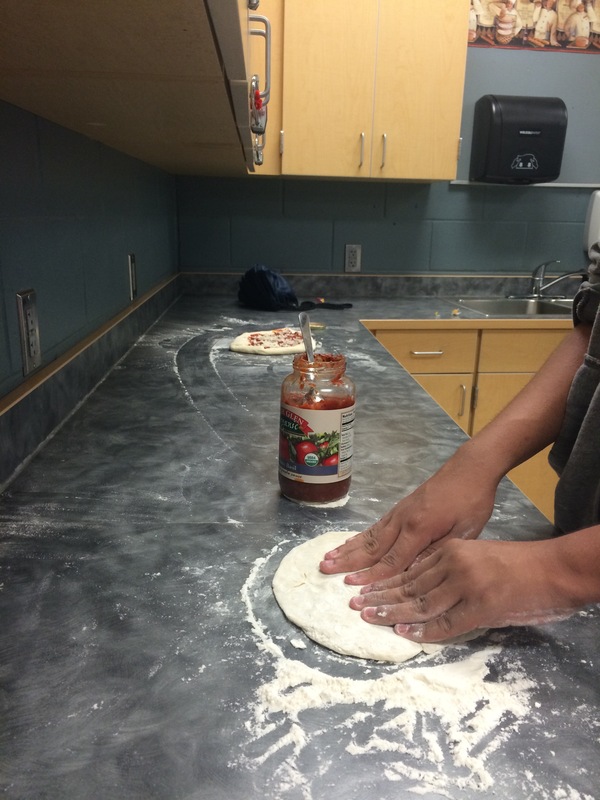 Back in the classroom, we explored the wonders of yeast as students made their own pizza dough. 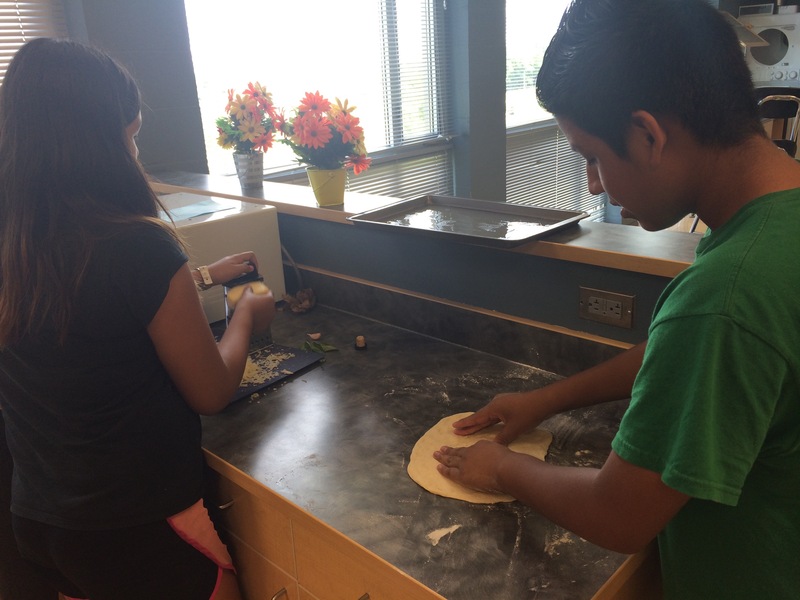 Many of the students were particularly good at getting the dough very thin (I admit I had to enlist their help for my own crust!) 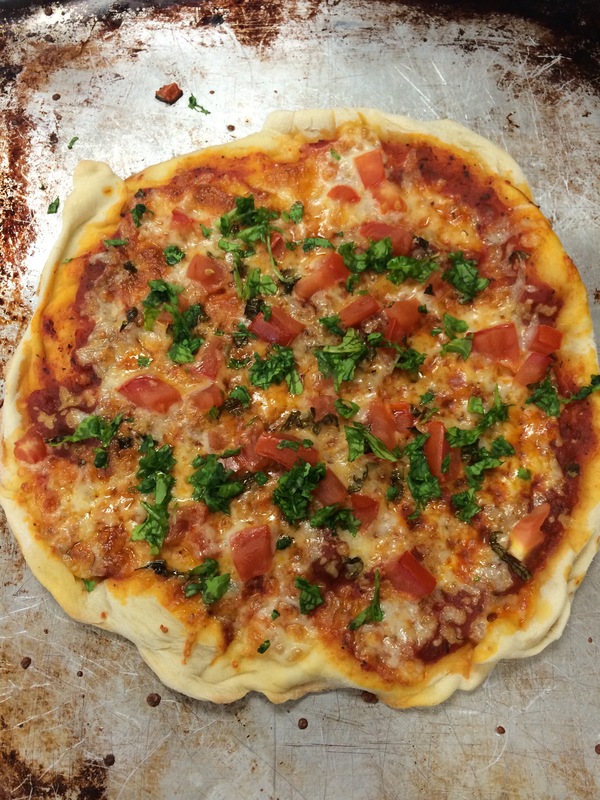 One group, feeling especially fancy, even made a stuffed cheese crust. While one or two students needed some extra encouragement, the majority were eager to add at least a few vegetables to their pizza. The instructors even got to make their own personal pizzas, which turned a bit competitive as each wanted the title of best pizza chef. 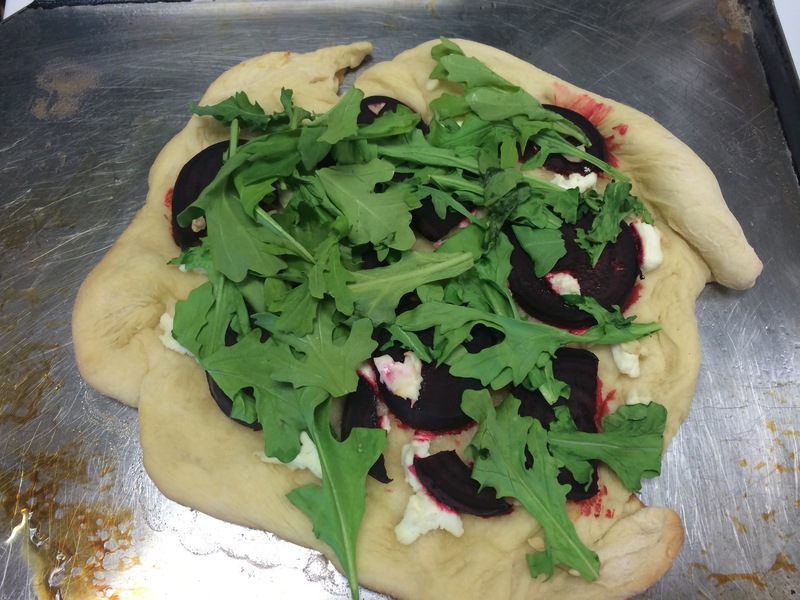 (Whether the tomato, onion and mushroom pizza was able to top the beet, arugula, and goat cheese is still up for debate.) By the time the buses arrived at 2:30 there was not even one piece left to take home as leftovers – always a sign of a successful lesson. A few students did, however, take some extra basil home from the garden to enjoy later with their families. 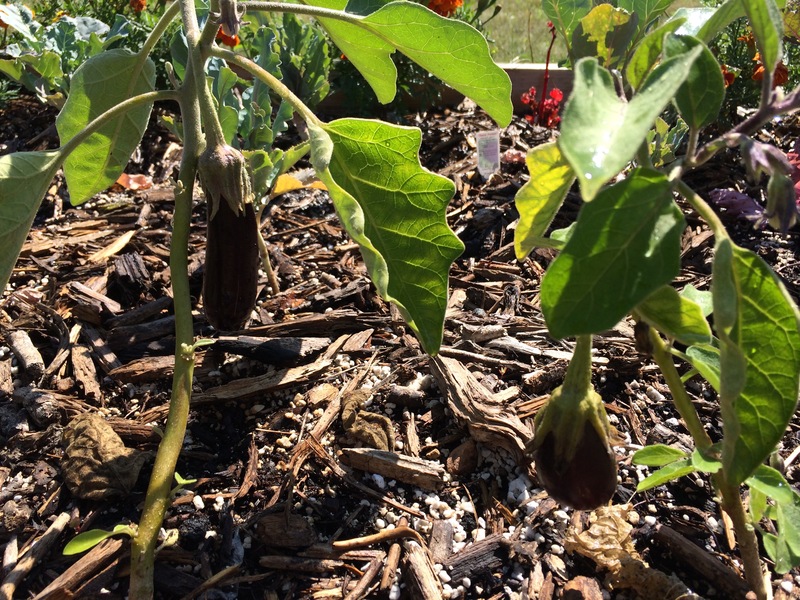 Moving into the fall, we are eager to see what more the garden will yield and what delicious culinary creations can be enjoyed from it!